How do you improve the ultimate shower experience? re-categorising and expanding their already hugely successful range of shower gels to include Moisturising and Men’s variants. With the core range redesign not yet being 2 years old, and having great disruption in the category, we suggested finding ways of evolving this core style to enhance the range. Taking the existing expanding fragrance ‘plumes’ as a start point, we developed new ways of expressing the Foamburst moment. 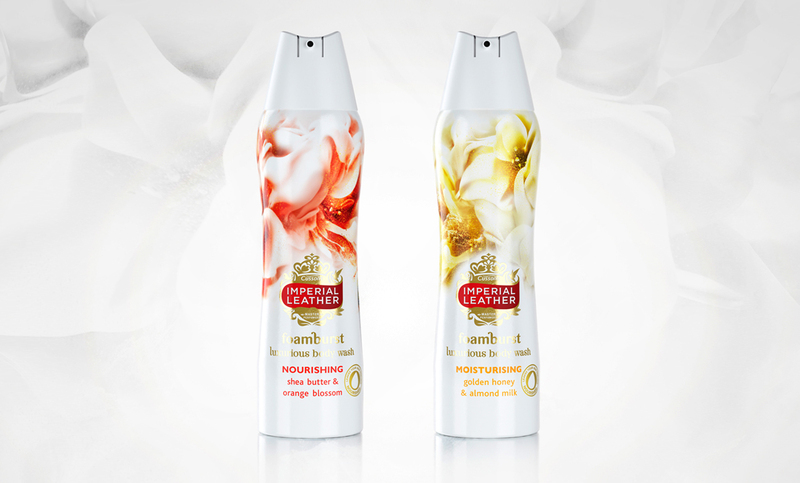 The Moisturising variants needed to feel richer and even more luxurious than the current core range, and so a palette of white and fragrance accent colours was chosen to provide differentiation and contrast, with the plumes feeling richer, creamier and more nourishing. 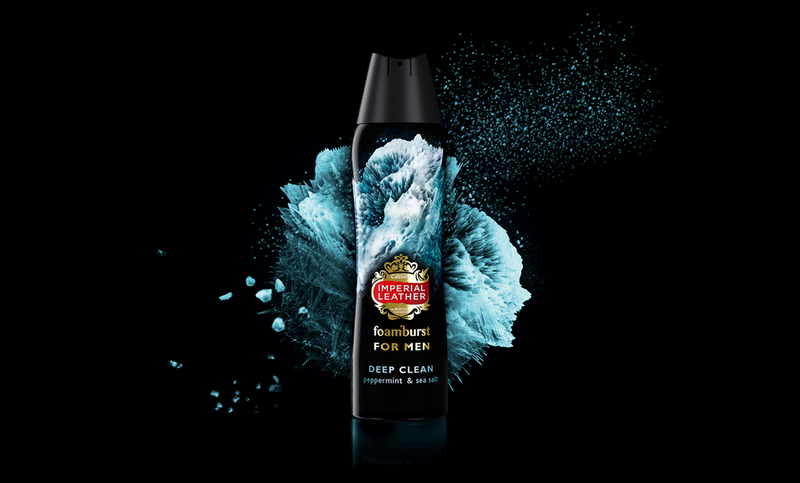 For the Mens’ variant, an ice cold blast with fractured sharp edges portrayed the instant glacial coolness of their Foamburst moment.